Motherhood is full. Full of everything. Full of tough times. Full of AMAZING TIMES. Full of moments that knock you out like you have been punched. Full of beauty, oh so much beauty. Full of giggles. Full of screams. Full of sticky hands. Full of spit up shoulders. Full of poop. Full of toothless smiles. Full of growing pains. Full of adventures. All of it. You name it motherhood holds it. It is the most basic and human thing we go through as women whether we mother a child we birth, a child of a family member, a child we adopt, a child of a friend. As women we are born to mother. By nature we are intended to grow something from nothing into a blossoming soul however we go about it does not matter, it is instinctual. Even as instinctual as it is, it by no means comes without difficulty, growth, realities, changes, mistakes, lessons, etc. It is hard. Harder than something that is supposed to be natural to our nature feels it should be, but at the same time it happens and it works and we find ourselves feeling the pain and bliss all in one wonderful breathe. 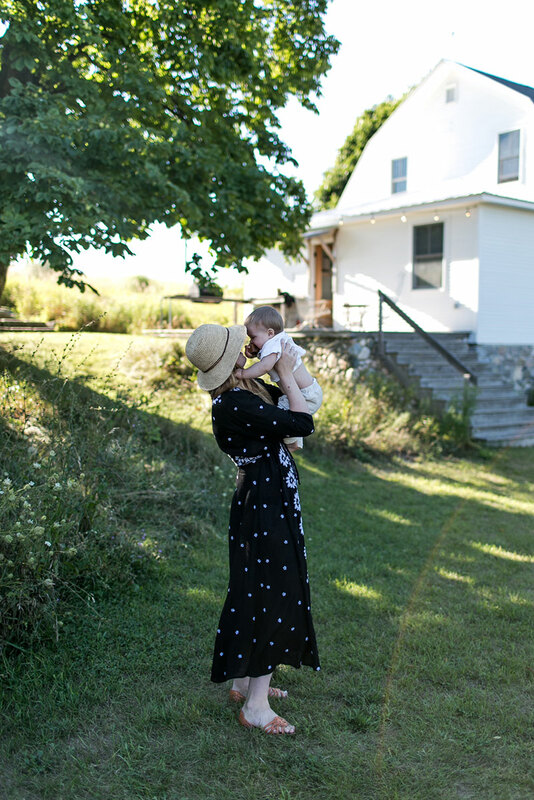 Motherhood has surprised me in so many ways. It has been harder and easier than I could have imagined even in the short time I have been here in this new chapter of my life as a woman. During this time of transition and growth, I have found the importance of surrounding myself with a support system vital. I have been extremely lucky as a new mom to have parents, in-laws, and a husband who have supported me endlessly in this process. There are no words to describe the thanks for the support I have felt from them in various ways through this journey. Mike especially. But I have found the support system is more important than those just in your immediate vicinity. I have found in the last year that my sanity and survival has also come from other women who I have found beside me on this journey. I have many AMAZING women who I have been able to connect deeply with while pregnant and after having Hayes. I know that will continue over the years. I know that I will discover new relationships as Hayes grows older, but there are two women who have taught me the importance of creating a tribe around you through this journey. 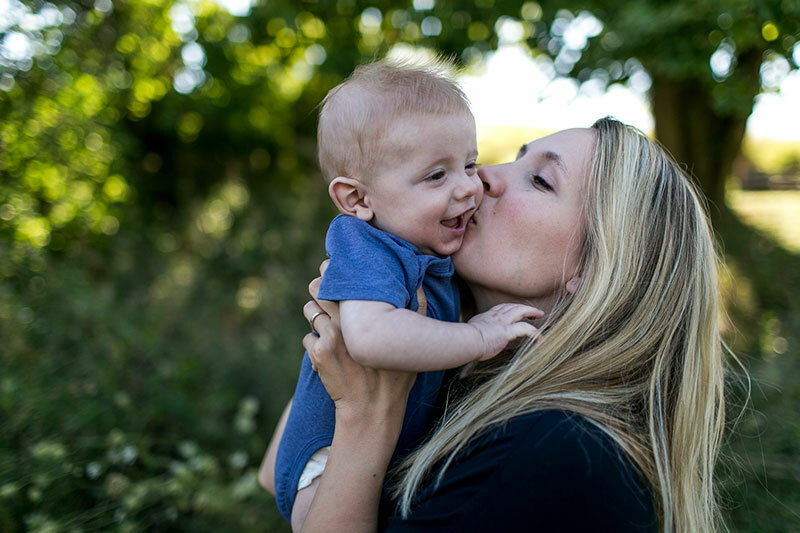 You think when you become a mom you have less time so to think about investing in more people beyond yourself, your baby, and your family is impossible. What I have found in turn is that becoming a mother has shown me the clarity of who I must invest in. 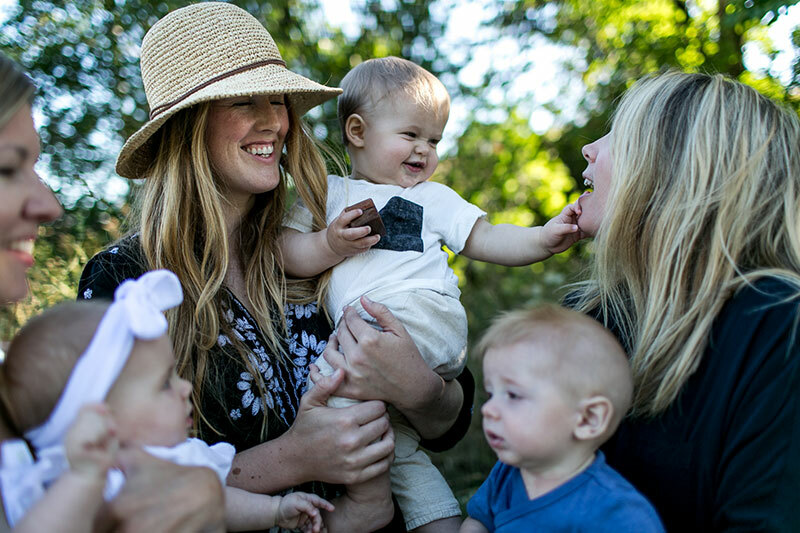 I mentioned last Friday in my post some about how my friend Anna Carl and Jenn Blake have been a huge part of my journey in new motherhood, but I felt I wanted to share how these two women showed me how important it is to have a safe place to be vulnerable and to ask for support in motherhood. Jenn, Anna, and I rode the waves of pregnancy together. Jenn we knew would be first to have her little one and then Anna and then me. Along the way, I was the one always trailing behind in experiences. Jenn would lead the way experiencing everything first hand. They would talk me through the rough patches of the first trimester. They would give me tips when something felt weird. And I remember a phone call Anna made to me not long after having Evie that she told me all about her birth. The thing is, looking back none of us chose each other for this support system. We each have other women around us strongly supporting us, but for whatever reason the universe aligned us together. All 6 weeks apart. All friends. All going through very similar and different things. I think about how it happened. How I received a phone call from Anna telling me she was pregnant and then we talked about Jenn being pregnant, and before we knew it we began that group text that has come to be my solace, my safe place, my place I can turn to when I feel I need that extra support. Our text chain spans a year and when you look through it you can find a journey of three women finding their way through this new adventure and experience. Anna in NYC. Jenn in Seattle. Me in Raleigh and Michigan. 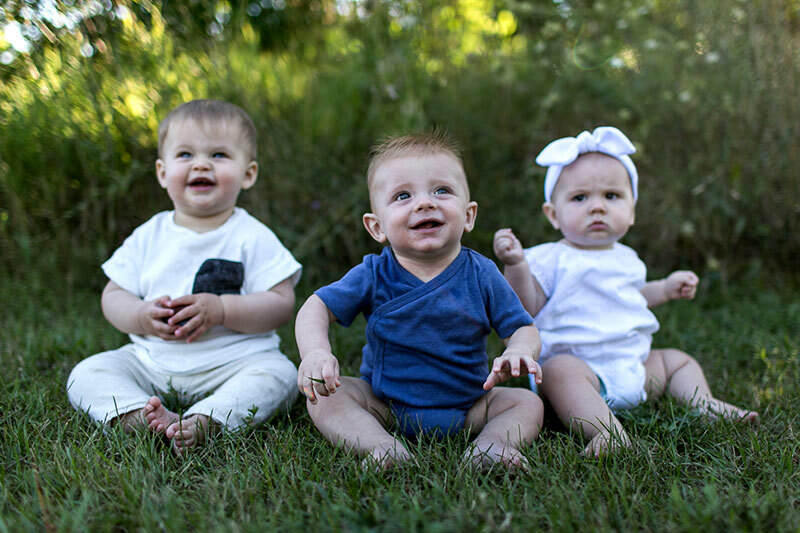 If you scroll the photos of our text chain you can watch each bump photo, images of pumping in the bathroom while keeping a newborn asleep in a bouncer with one foot, many cute newborn images, images of postpartum bodies, realities of newborn life, and then the wonderful highs of baby giggles, crawls, and first foods. It feels like a memoir of the life we have shared with one another miles and miles away from one another over the last year. In those texts, there are deeply honest moments. I remember Jenn was going through some VERY hard allergy issues with Auggie and I was in my last month of pregnancy. I would be walking the track at the YMCA with tears in my eyes as I read the deeply raw and real texts from Jenn feeling for her and everything she was going through. She needed us to share her struggles with. We were her outlet and at times I had no idea what to tell her as a friend, but I learned right then an important lesson of being a friend and a mother, that it isn’t always about having the right thing to say, it is about letting her know I was listening and I cared. The truth was, I really really did. In many ways, we have mothered each other through the process of becoming mothers ourselves. In the last year, we never got to chat much on the phone between running businesses and becoming mothers text was the best way to talk. Some women find this kind of support with the women they live near and some find it through new mom groups. For me, I needed these two women even with the distance. I needed two women who desired to continue to pursue their creative passions, while also pursuing their passion to be a mother. I needed two women who knew the balance was impossible and that each day we are doing our best to be the greatest example of a strong woman for our babes, while still being real, vulnerable, and passionate. I needed to surround myself with women who I could trust to understand that when I say today took everything out of me, they never tried to fix it, but instead could understand and lend a listening ear. Now don’t get me wrong, Mike was there through so much. He was the physical support I needed so often. There were many nights when I had rampant anxiety in the weeks right after Hayes’s birth he would have to hold me to fall asleep. He has taken so many things from my plate in order to give me the freedom I needed to find my way in this new part of my life. 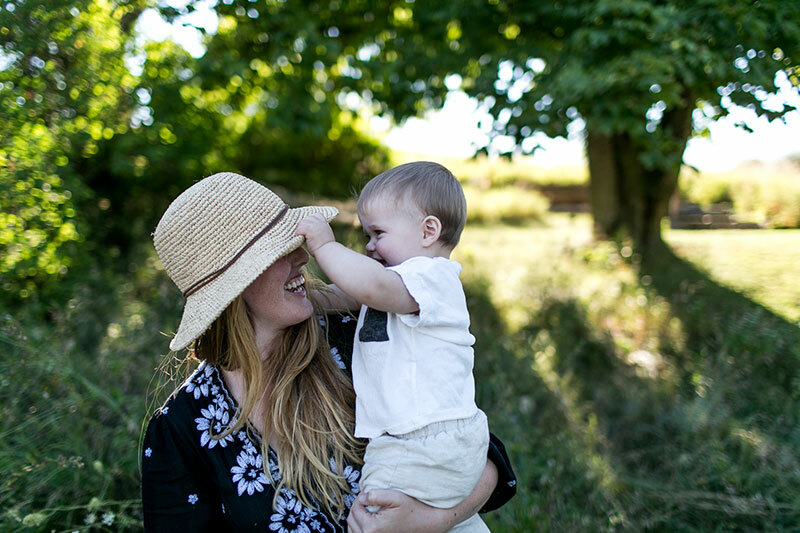 He has been the backup I needed, but no matter how loving or wanting to be present your partner is, being a new mother still has its moments of isolation. Many times the only way to feel understood is by other women who are there or have been there. This is what was vitally important to me in the final weeks of pregnancy and now especially as I balance the world of being a mother and entrepreneur. The necessity of having other women I can talk with openly about the balance, the daily struggles, how to get sleep, how to handle a rash, and the list goes on, is completely priceless these days. After this year of having these women and a few others in my life through this journey, I am finding myself realizing and valuing having a tribe of like minded women beside me and me beside them. These women are more than just friends. They have counseled me, mothered me, given me sanity, and told me again and again it will be alright. Not only that, I have been more confident as a mother watching them with their babies and having the chance to be there for them. I have found comfort in this new role because of their support and knowing how we are all in this together. Having these women has been an essential part of new motherhood. It is so special to have a girl squad that is willing to be 100% themselves, bare their souls, and know that in turn there will only be love, support, and honest words. Joining a tribe of women who know the sacrifice, joy, beauty, and difficulties of motherhood is an incredible gift to cherish. It is something I never anticipated or saw coming as someone who is introverted. I choose my relationships carefully and it takes me time to fully open to people. I have always been protective and prefer to go it alone, but now I know that life is meant to be shared, experienced, and felt amongst others. Now, watching these wonderful women with their babies who we all fretted and worried about, together and thriving with smiles and giggles is the most precious and beautiful thing. It is extremely fulfilling to see these women I feel I have supported be them best selves and maybe because of just a slice of what I have been able to be to them in this journey. When I see these women beside me I feel far stronger than I would ever without them by my side. For that, I feel utterly thankful. 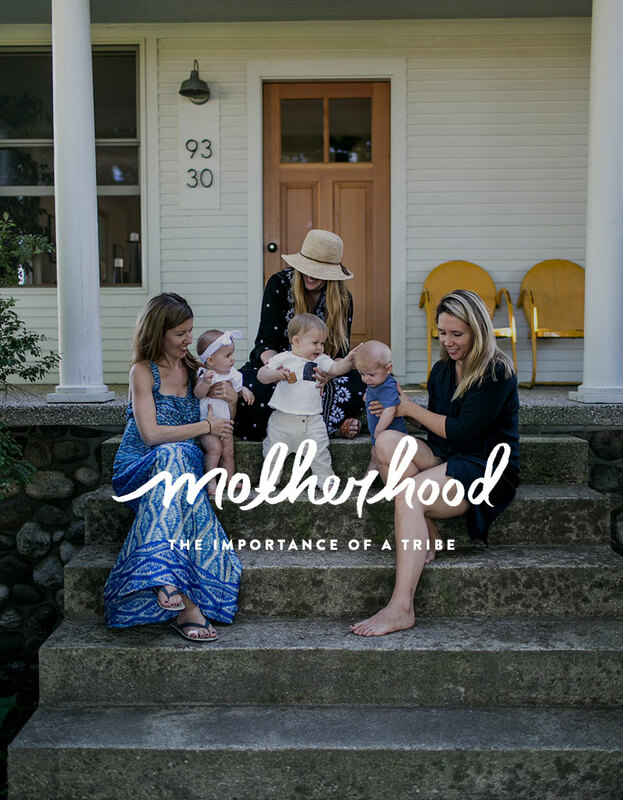 So, when a new mom asks me these days for my one piece of advice, I tell her to find a tribe. A tribe of women that are like-minded, walking parellel paths, that will hold each other up stronger, that will bare their souls with them, that will share in the joys and darkness of motherhood, and make their lives richer not because they have found balance or the perfect postbaby body, but because they are women who believe that this is just one bit of the journey and that there is light even in the dark and beauty even in the ugliness of it all. That is what you need. Surround yourself with women who even if they cannot come to your side on a bad day, can let you cry it out through a text or a phone call and in turn you know you would do the same. Those women will be your rock. Then they will hold your baby and you hold theirs and somehow it will all feel complete. In that moment you will fully understand that it REALLY does take a village. 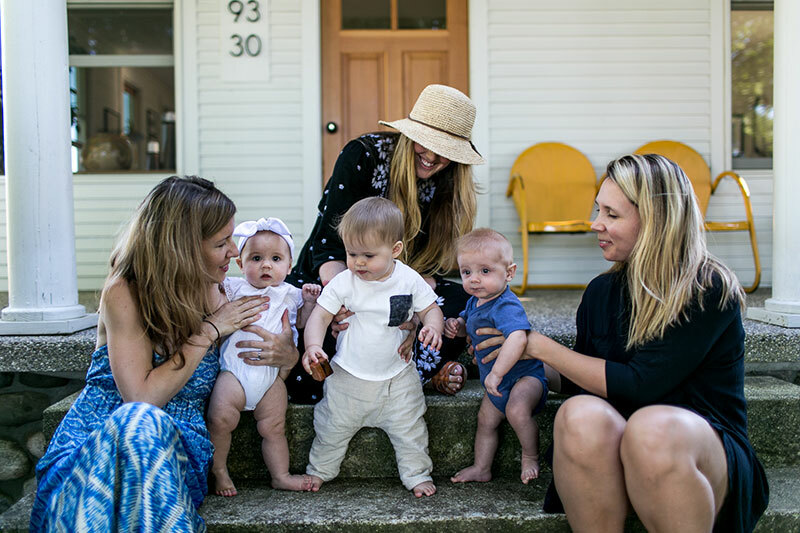 All you moms out there, do you have a tribe of women you turn to? How did you find them? Do they leave near or far? I don’t have a mama tribe. I was one of the first in my group of friends to get pregnant so didn’t really have anyone else in my close circle going through this with me. For the first few months of motherhood my mom was my touch stone. I texted her day and night with questions and concerns. I of course did not follow all of her advice or find it all valid but I did appreciate someone with a bit of perspective especially someone who has mothered many children. But being tribeless, is likely IN PART IS WHY I STARTED BLOGGING AND INSTAGRAMMING THROUGH @MAKINGLAMADRE. SOCIAL MEDIA, INSTAGRAM ESPECIALLY PROVIDED a great community space to share and connect with other moms going through your same ups and downs. Such a beautifully written post. This is wonderful advice, even for future moms. 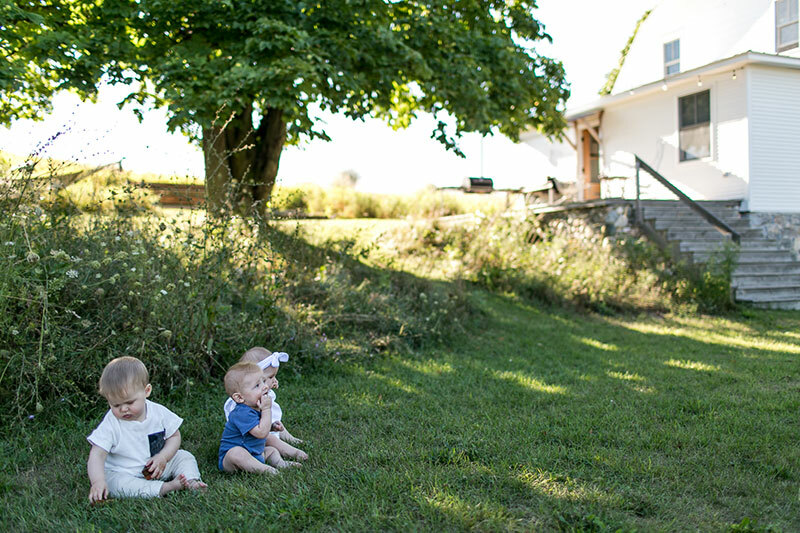 I hope to have a tribe like yours to enjoy the beauty of motherhood together. Thank you for sharing such a lovely post! What a truly beautiful post. Every woman thinking of becoming a mother should read this. Women are so very strong. I felt very alone at the beginning of my pregnancy, particularly living abroad. My friends back in the US were beyond helpful and supportive, but i didn’t have anyone in spain. additionally, i was clueless about how the spanish system worked. i had many, many tears and complaints and moments of feeling overwhelmed and uttrly alone. i announced my pregnancy on my blog halfway in, and so many more people came forward to say they were pregnant, too! don’t have many in madrid, where i moved at the start of second trimester, but am connecting with women because i realize how important it is to have others around you. A tribe is so important! I can’t believe how beautiful all your photography is – you will definitely love looking back on these photos.